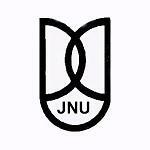 The Jawaharlal Nehru University (JNU) is one of the Central Universities located in New Delhi, India. The University will conduct entrance exams for admission 2012 into different courses on 22nd, 23rd, 24th & 25th May 2012. Download JNU Entrance Admit Card 2012, Click Here.